With the Miami Winter Music Conference just around the corner Joey Martinez - Get Up Hands Up (Miami!) has been released 25/2/2013 just in time! It is a must have weapon for Miami WMC13! "Following the Success of 'Stereocode' at Miami WMC2012 Joey Martinez is back with some more main room action that is going to hit Miami WMC 2013 HARD! 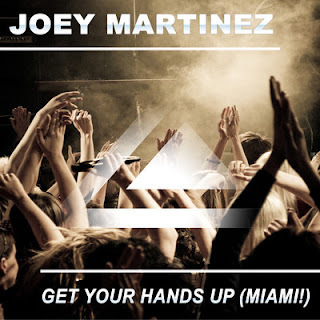 This is.... Get Your Hands Up (Miami!)!!!!!!" BUY YOUR COPY NOW @ BEATPORT !!!!! !